No matter what types of creams you use, weather it’s in a bowl over fresh strawberries or whipped into the dessert to create something more indulgent, cream in all forms is a luxury to have. This simple and easy Tip Thursday will demystify this comfort food with endless possibilities exploring it’s uses from savory to sweet dishes. 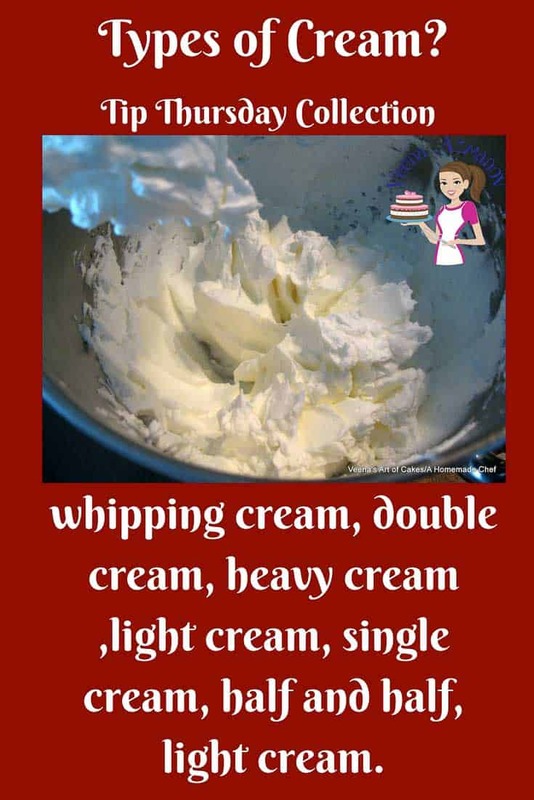 Have you had a recipe that ask for cream, whipping cream, double cream, heavy cream ,light cream, single cream, half and half, light cream. So many types of creams and called differently in different parts of the world too. So no wonder, I often get people message me what type of cream to use? what percentage of cream this recipe needs? and so on and so forth. So for this Thursday’s Tip Thursday on my Facebook page I decided to dedicate one tip to speak just about the Types of creams and it’s uses. I hope this helps you in some way to answer some questions. Of course there is a lot more information on creams and their percentages, but I choose to give you just the most important information. After all there is only that much you can fit on one slide. Always whip cream when chilled well but not frozen. Frozen cream does not whip. In hot and humid climate, place an ice bowl under the whipped cream bowl to ensure the cream stays cold as well as whips faster. Over whipping cream will result in homemade butter. Low fat content creams are good for beverages and cocktails (soups) as they blend easily. Low fat content in hot sauces cause curdling but can still be used if added with caution. Half and Half /coffee cream/ extra light – is usually half milk and half cream with 10% to 12% fat. Light Cream/Extra Light Cream – 12 to 18% fat content – works best for soups and gravies. Does not whip. Works a treat in soups, sauces, dressing and of course cakes as well as in food such as over chicken or beef. 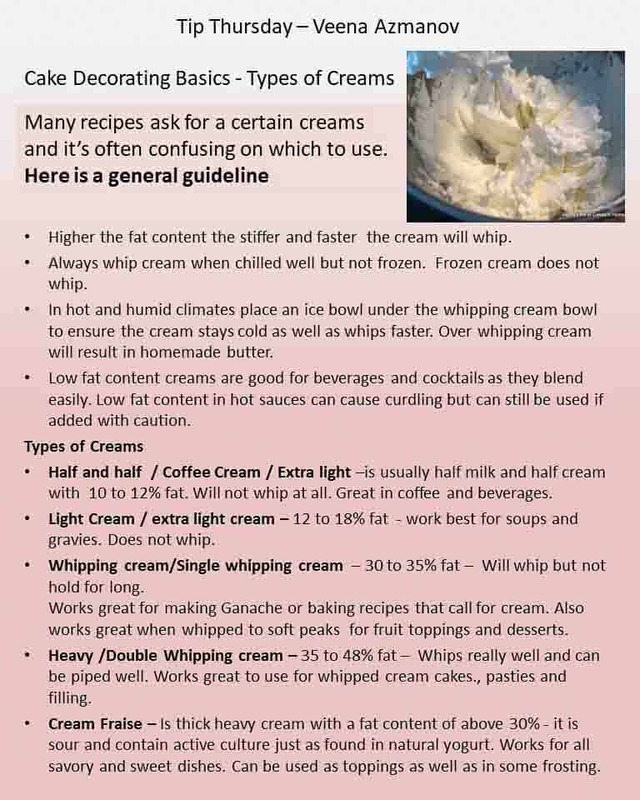 Whipped Cream / Single whipping cream – 30% to 35% fat – will whip but not hold for long. Works great for making ganache or baking recipes that call for cream. Also works great when whipped to soft peaks for fruit topping and desserts. Cream Fraise – is thick heavy cream with a fat content of above 30% it is sour and contains active culture just as found in natural yogurt because it is treated with a bacteria culture that thickens and give it that sour taste. Works for all savory and sweet dishes. Can be used as toppings as well as in some frostings. Clotted cream is the thickest and riches also know as Devon or Devonshire with a fat content of 55 to 60%. It’s already so thick it does not need to be whipped before serving and works a treat with fresh fruits, scones. Often used as pouring cream. It should never be used in cooking because it can separate on heating. Chantily Cream – is made by folding whipped cream into vanilla pastry cream. This is often used in desserts as filling as well as other decadent and wonderful combinations. Long Life Cream – (UHT) is stabilized cream which is heated at very high temperature for a shot time. Because it has undergone ultra heat to extend it’s shelf life and usually contains 35% milk fat. Types of creams, Types of cream, Type of creams. Don’t forget to save this tutorial on Pinterest for later. 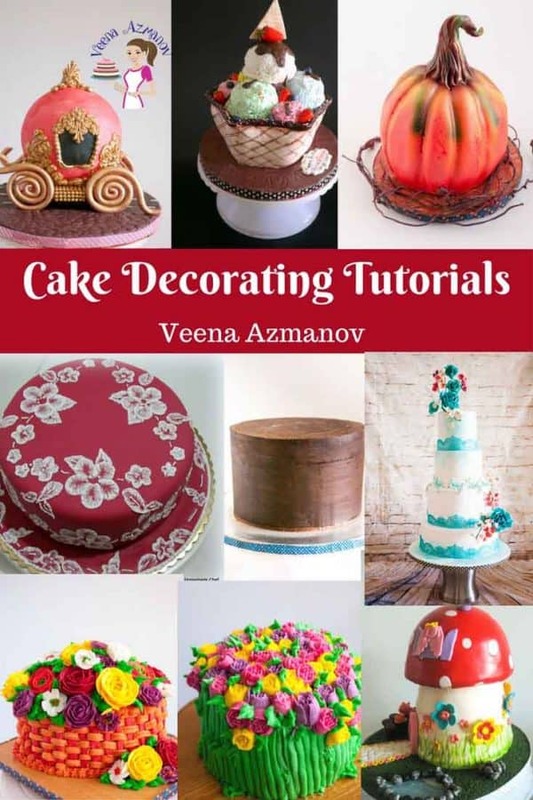 Click here to see some of my Index of all cake tutorials from basic to advance. It really looks tasty. I will surely try this.